The Asterix books, characters and their likeliness are Copyright © Les Éditions René Goscinny-Uderzo. 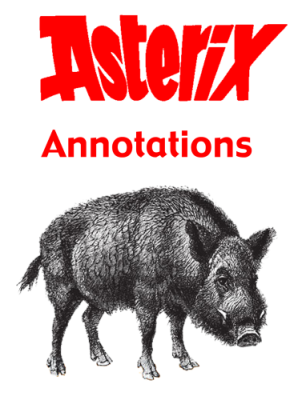 They are being used in the Asterix Annotations under "Fair Use". First version to be typeset using DocBook. Added Index, CC License. Removed Ideas for new books. Added details about Dogmatix books and some minor annotations.